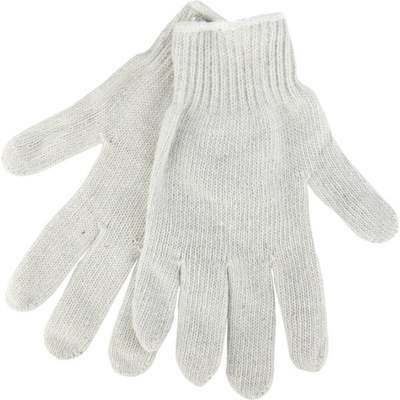 100\% polyester knit glove featuring over-edged elasticized knit wrist. Ideal for general purpose applications. Comfortable fit. Reversible pattern - fits either hand. Color: White.